Tropical North Queensland rainforest is to experience nature at its finest! 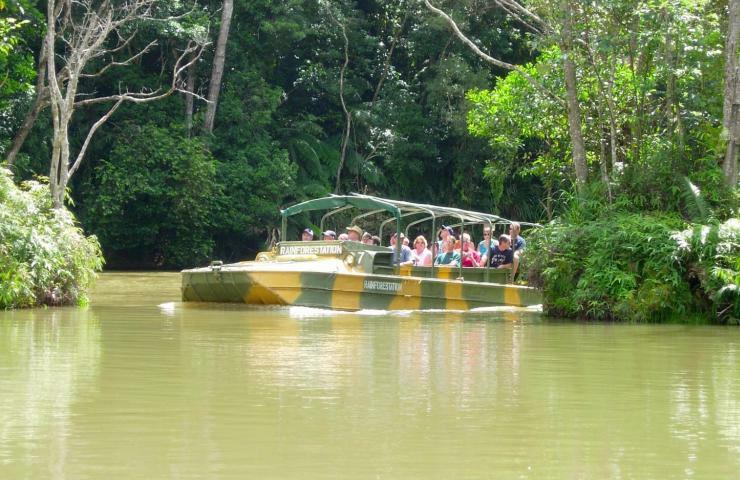 Rail, Gondolas, and amphibious Army Ducks all come together to enable you to appreciate the compelling enchantment of the rainforest village of Kuranda. This tour is available from Cairns accommodations only. Please refer to 'Grand Kuranda' for pickups from Northern Beaches or Port Douglas.